Delegates at a workshop in Suva have been told about the dangers associated with diabetes, with Fijian hospitals now conducting one amputation every eight hours. The disease was described as an ongoing disaster in Fiji that had an annual cost of between $120 million and $180 million a year. Speaking at Media and Diabetes Advocacy workshop at Holiday Inn Suva yesterday, Diabetes Fiji West chairperson Dr Jone Hawea said the trend in as far as amputations were concerned was worsening. “When dealing with amputations we came up with a statistic of one an every 12 hours more than seven years ago,” he said. Dr Hawea said while working at Lautoka Hospital in the past two weeks he had three people who had below knee amputations and they were all in their early 30s. “Their limbs were rotten practically to the level of below the knee and there was no other option but to cut it with the choice being to keep the leg with severe infection and die or amputate and remove the infection,” he said. He said diabetes was imposing huge financial burden on Fiji’s economy. “We are producing more disabilities than any other developing nation by judging from the statistics,” Dr Hawea said. Assistant Minister of Health and Medical Service Alex O’Connor said the figures for diabetes were alarmingly high. 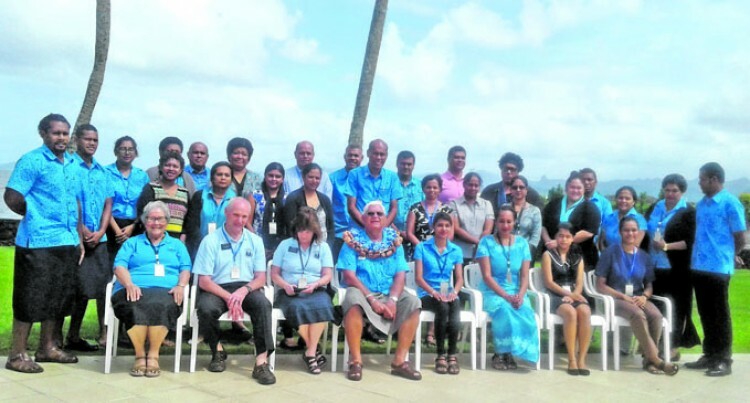 “In Fiji 15 per cent of the adult population have been diagnosed with diabetes,” he said.